Americans rejoice – you can now have your precious Ranch dressing at sweetgreen — the country’s preeminent healthy fast -casual salad joint. Since it’s coming from sweetgreen, it’s not your run-of-the-mill, packed-with-buttermilk, high fat and high calorie Ranch you’re used to. 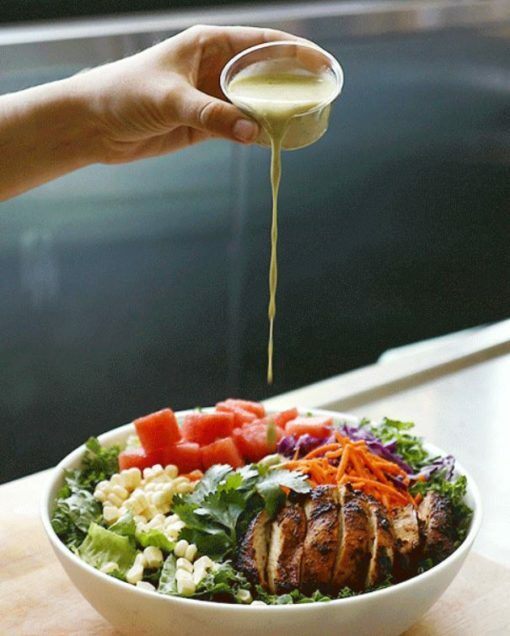 But don’t worry, it’s sweetgreen’s housemade take on the America’s most-popular dressing (and dip), so not only will it mirror the flavor you’re used to, but you don’t have to worry about packing on the pounds when you ask for “heavy dressing”. Sweetgreen’s version obviously gives it a healthier spin that gives it a “light and fresh take on a California classic.” The salad company calls it the Greener Goddess Ranch and you don’t have to be guilty putting it on your kale salad.